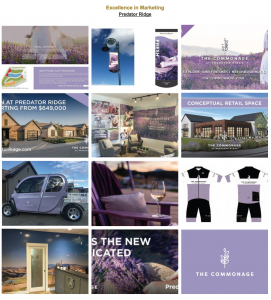 Wesbild’s Predator Ridge is the proud recipient of the 2018 Tommie Gold – Excellence in Marketing, for their work on the Commonage neighbourhood. Put on by the Canadian Home Builders Association – Central Okanagan, the Tommie Awards celebrate the achievements of our building industry’s finest, the “Best of the Best” for the past year showcasing their vision, talent and commitment, setting the standard of excellence for our industry. For the past twenty six years, Tommie has been recognized as the symbol of this excellence in the Okanagan valley. Since its inception, the Tommie Awards has grown into a first class event, attracting interest and recognition from well outside our region.